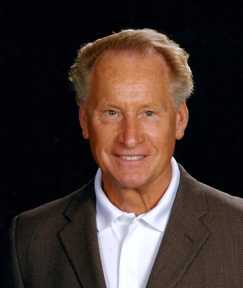 Author, art historian and artist Dr. William Havlicek has over 30 years of experience in college teaching, museum administration, publishing and fine art/studio production and exhibition. He holds a Ph.D. from Claremont Graduate University and is a graduate of the University of Iowa with both Masters of Arts and Masters of Fine Arts Degrees. He currently teaches at the Laguna College of Art + Design in Laguna Beach, California and has lectured often at the Bowers Museum. His military experiences as a psychiatric technician included a study of psychology and art therapy. With combined strengths in art history, studio art, aesthetics, philosophy, psychology, art therapy, museum education and publishing, he brings a broad range of experience to the classroom. He is recognized in his field as an innovative instructor, practicing artist, lecturer and writer. As a practicing artist, Havlicek has merited important commissions and exhibitions of his work in galleries and museums in the United States and abroad. 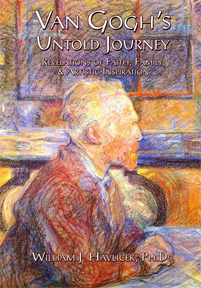 Dr. Havlicek is the author of the highly acclaimed book Van Gogh’s Untold Journey. The book is based largely on Vincent van Gogh’s astonishing letters of which over 900 exist. This important work—the result of over 15 years of research—provides new insight into the artist’s true character nurtured from his abiding faith, the influence of family, and the tender solicitude he felt for mankind. The book also dispels much of the myth that has come to surround Vincent’s tumultuous life. In the words of the author, “The letters reveal an unknown, adventurous, deeply compassionate Vincent whose essence seems to have been lost in the dramatic and often apocryphal stories surrounding his illness and early death. My effort therefore was to unveil these unknown aspects of Vincent—ones that are even heroic and certainly praiseworthy.